Travel across the lands to expand Rome's empire and prove your love. Victorius, a brave warrior, has fallen in love with Caesar's daughter and wishes to marry her. However Caesar has a different vision of his daughter's future, and he sends Victorius miles away expand Rome's empire. 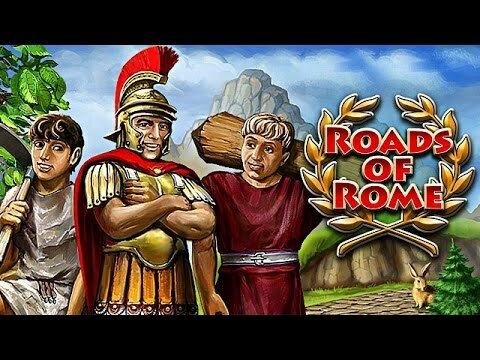 Complete challenges set by the wise and cunning Caesar as you bring Roman spirit and culture to the Barbarians. A romantic love story, exciting quests, and true glory await you in Roads of Rome.